This is an epistolary response to the 2016 documentary, Ima Sabitri, by filmmaker Bobo Khuraijam. 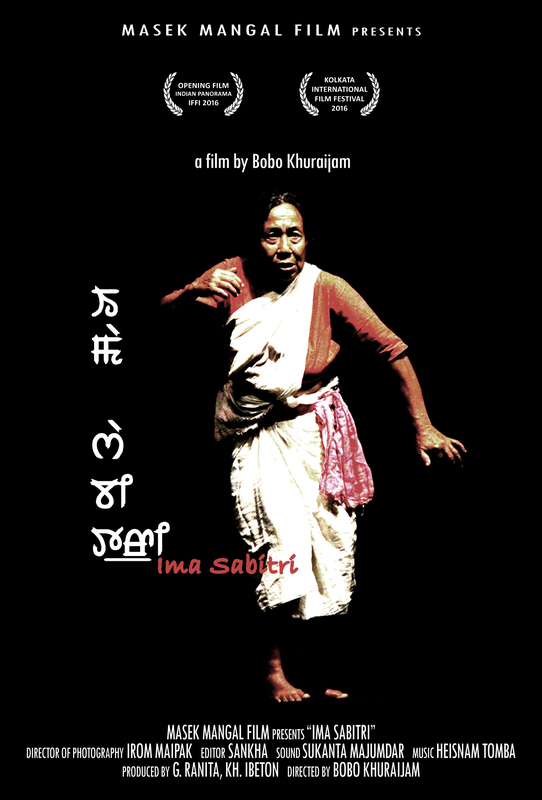 The film follows Ima Sabitri, a popular Manipuri stage actress, over the course of several months, and is a documentation of her life and her art. It was the opening film in the Indian Panorama section at the International Film Festival of India, Goa, 2016; it was also the official selection at the Women of the Lens Digital Film Festival, London, 2017. At the end of 57 minutes and 12 seconds long film, when Amal bows, my heart stopped. I was the only person in Cinema Museum who knew that, a few days after the last interview, another Amal had left. My phone was switched off the entire day. I knew you would’ve wanted to ask if I had gone to the festival (how could I have not? ), but I did not try to switch it on. Instead, I let the emotions be. Without you having to confront them, suddenly they had lent a clear lens into the past. In your film, where Oja once sat on his desk, lay his cot. The corner where Ima would walk as Pebet in jest, in your film, she makes lakoi. Memories of a monsoon spent in Langol Hills invigorated the dry autumn that we were having, as valley rains are often wont to do. I knew your film was shot over a few years, but you did not shoot anything the year I was there. What were you waiting for? Inspiration? Funding? A new direction? As Ima seamlessly transformed into Draupadi—from Dhaka to Kolkata to Imphal—did she know you were at her heels, breathing her fire into your lens? She dislikes those shots. She said so. If you meet her again, let her know that mayang-nupi found those frames sublime. Your perspective of Draupadi from the musicians’ corner convinces me that there’s no man who could have held Ima’s gaze as she stood on the stage and uttered, “Counter me”—not on stage, not in the audience, nor in real life. How does everyone sing so beautifully? Bembem, Tyson, Oja, Ima, Tomba? I remember how Ima told me that her songs are borne of water, wind, earth, and fire. When the boatmen sang across lakes; when the wind carried the songs, and made music in the bamboo groves; when everyone would gather around the phunga and tales would be sung. As artistes and intellectuals sang in many tongues, did you visualise logs burning and the courageous cicadas humming into the night? This is storytelling at its best—deceptive in its simplicity. This is about an artist, her mentor, and their family. But it is about predecessors and legacy too, isn’t it? It is also about how it all began one Chieraoba morning. It is an obeisance to the ones who are gone; a treasure map for eager, young eyes ready to witness theatre being born again and again. What were they cooking? Maroi napakpi? Kangshoi? Or (my favourite!) ooti ashangba? I have never come away from Ima’s house without a little food. The body craves as much nourishment as the mind, Oja said to me once, as he surreptitiously ate some muffins. The culture of defiance is also a struggle to walk on curfewed roads, to open dialogues in shops, to dance and write freely, to not grieve, to fish in ponds, and, maybe, relish some nga atoiba thongba in peace? Your film was shown in a beautiful hall, replete with memorabilia and books from the world of cinema, a large cut out of Charlie Chaplin that almost touched the ceiling. Before this house became the Cinema Museum, it was the Master’s House of Lambeth Workhouse. At the age of 7, Chaplin came to work here. Did you know his childhood was spent in abject poverty? Surrounded by small brick houses on a Sunday morning, if it was not for your film, I would not have discovered a house of curiosity where a friend's labour of love was experienced by many. The organisers of the WomenOfTheLens Festival, Jennifer and Samuel, came up to me when they heard I had come to see your film. They asked me to say a few words at the end of it. I answered their questions to the best of my abilities. They will probably send you a video. Let me know if I stumbled? I wish you were here. In a master-stroke of serendipity, you were showing Ima Sabitri in your own city at the same time that I was receiving your applause in London—none of it was mine. Although I endeavour to meet Manipur in my work and my dance every day, this afternoon, your Manipur came to me. Debanjali Biswas is currently a Commonwealth Scholar at the India Institute. After finishing her M.phil from Jawaharlal Nehru University, she pursued social anthropology at the School of Oriental and African Studies, before taking up a fellowship by the Smithsonian Institute to study at the National Museum of Natural History.